2 Bedroom Flat For Sale in High Street for Asking Price £132,500. Selection of brand new luxury duplex apartments finished to a high standard and located in Hornsey N8. With shared ownership, you could get yourself on the property ladder and own a share of a spacious, brand new, two-bed duplex apartment at The Quadrangle. With prices starting from 132,500 for a 25% share, and future options to staircase to increase the amount you call your own, Sanctuary Homes can offer you an affordable way to buy in London. These stunning duplexes have two floors and feel more like a spacious home - on your ground floor you'll have an open-plan living space and downstairs WC, with two bedrooms on the upper floor as well as another good-sized bathroom. 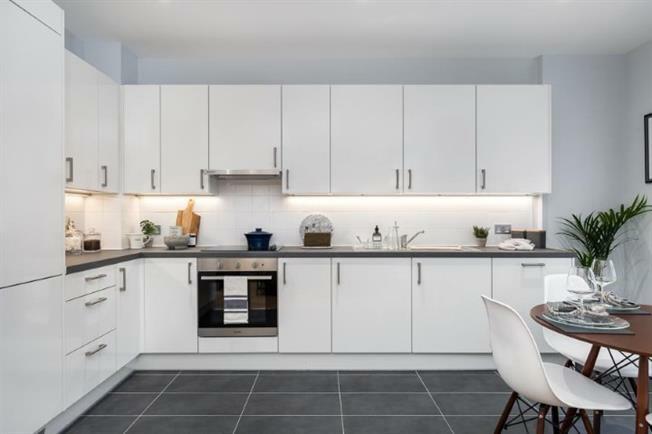 Your apartment includes fitted blinds and has a fully kitted-out kitchen with built-in appliances, so you don't have to worry about installing white goods yourself. Everything is brand new and comes with the manufacturer's warranty for peace of mind. Mangers note: Photos and floor plan for guidance only.